Our Eco Warriors pupil leadership group can now help you reduce plastic and toxic waste. 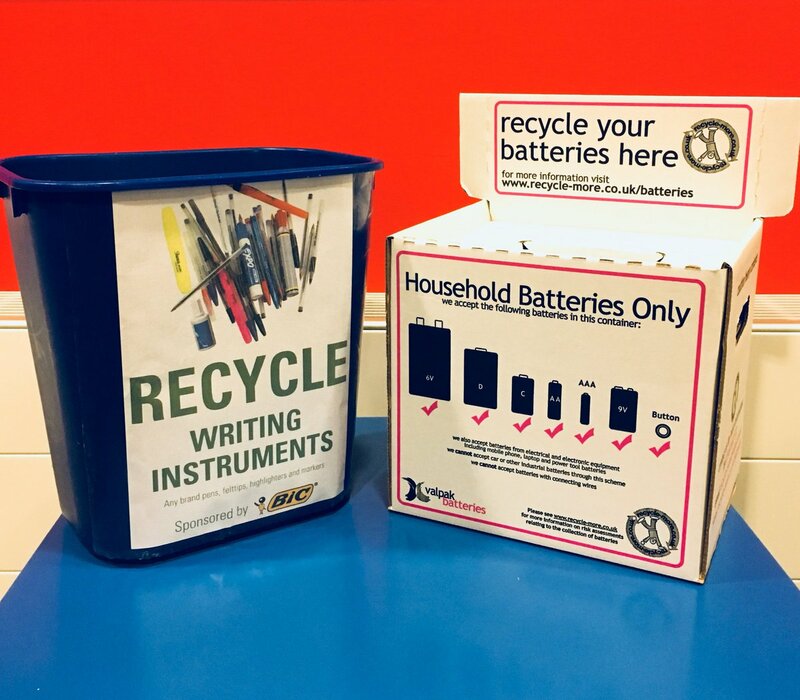 Just drop-off old batteries and pens in the new bins in the school reception and we will send them off for recycling. Our Eco Warriors are a Pupil Leadership Group, led by pupils who are passionate about protecting the environment, animals and nature. They help us to find ways to protect the environment by reducing pollution and waste. Recycling pens and batteries helps to reduce plastic pollution and to stop toxic chemicals from leaking into the land, rivers and oceans. Amazingly after just 24 hours we had already recycled 15kg of batteries. Please keep on recycling.